Washington (AFP) - President Donald Trump, who delights in confounding health experts with his junk food cravings and disinclination to exercise, is "in very good health," his doctor declared Friday following an annual medical checkup. "I am happy to announce the president of the United States is in very good health and I anticipate he will remain so for the duration of his presidency, and beyond," chief physician Sean Conley said in a memorandum released by the White House. 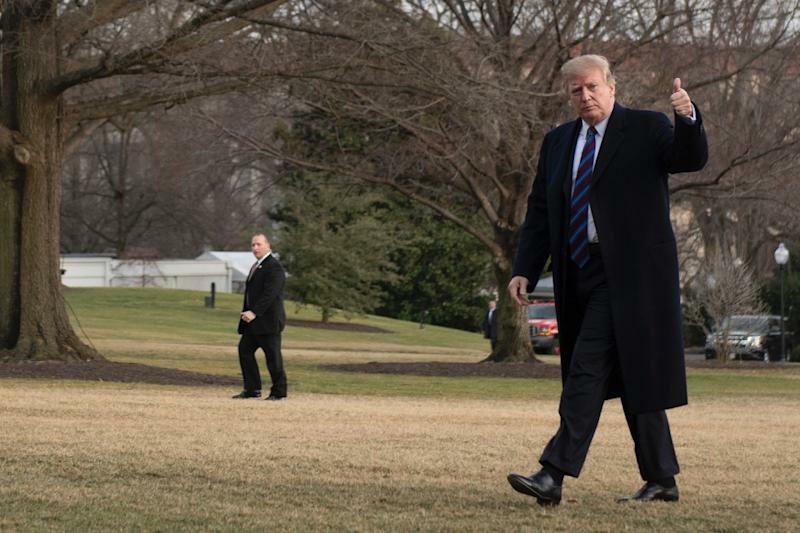 Dressed in a long dark overcoat, Trump gave a thumb's up, but did not respond to reporters' questions about how he was feeling. It remained unclear how many of the test results would eventually be made public. Last year, everything from the president's cholesterol levels (high) to weight (too high at 239 pounds, or 108 kilograms) was released. Trump's then chief physician, Ronny Jackson -- who has since run into trouble over alleged ethical misconduct -- also held an unusually detailed press conference in which he declared Trump to be in "excellent health." On the plus side, Trump doesn't smoke and is a noted teetotaler. He says he's never even had a beer. Less good: the former real estate tycoon and reality TV performer unashamedly embraces the couch potato life. "All my friends who work out all the time, they're going for knee replacements, hip replacements -- they're a disaster," Trump told The New York Times in 2015. The 45th president's diet, reportedly involving legendary amounts of Coke and red meat, also seems to defy most doctors' orders. 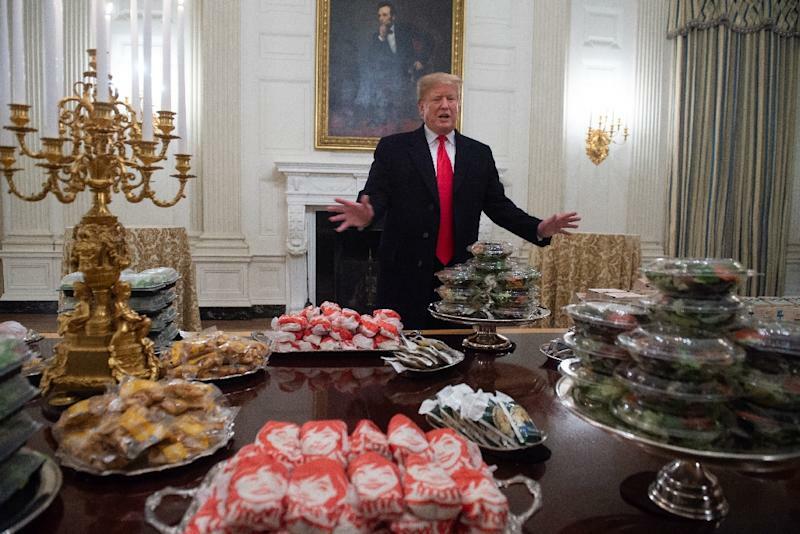 In January, Trump hosted the strapping athletes of America's champion college football team, the Clemson Tigers, with a mountain of hamburgers and pizzas. According to Jackson last year, Trump's secret is genes. "Incredibly good genes," he said. "It's just the way God made him."